This Rolled Paper Bracelet was submitted by Contest Winner. Taylor Oldfield from Prosser, Washington who designed this earth friendly bracelet that is sure to be a hit with the teen crowd. 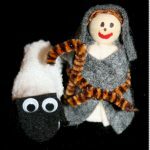 What great original craft ideas do you have? 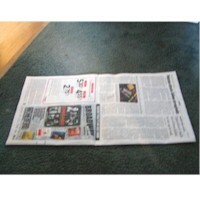 Get Newspaper,take just one, fold it. 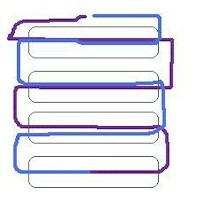 so you have 2 layers of paper. 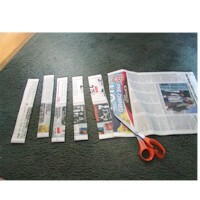 Then cut into strips once you have determined the size you want, it usually takes around 20-25 rolls . it just depends on your wrist size. 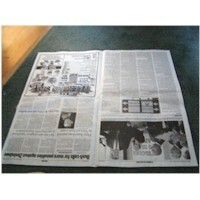 Grab a strip of paper and lay it out with the side you want visible facing the ground. 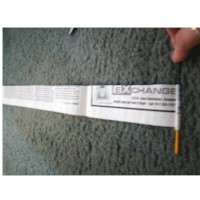 Then, take the end of the paint brush to help roll up the paper, this makes it go much faster. In order to keep it rolled while you finish the other 20-25,just stick a bobby pin in there to keep it rolled up nice and tight. When you have the amount you think you will need,I advise you make a few extra, just in case! 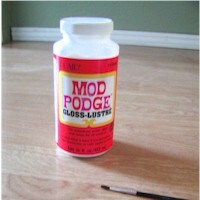 You're going to need that modpodge and paintbrush. Take the bobby pin out but make sure you grip it so it does not unroll. 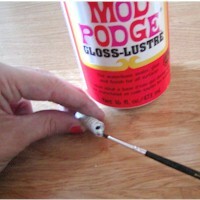 Put a good amount of modpodge on each end, making sure you get it on the inside as much as you can. This is to make sure it stays tight. 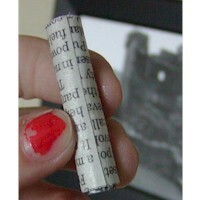 Then put a layer or two under the edge of the paper and smooth it out. Then another few layers of modpodge on top and all around. Let them dry and then add another layer or two after that to harden them a little more. Once they are all dry, get your elastic cord.I usually cut it about 3 maybe 4 times the length of my wrist. 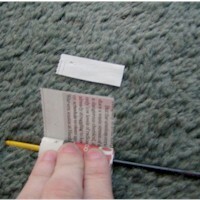 Then insert through the hole and slide the paper to the center of the elastic. Once its the length you want,pull it and stretch it and tighten the elastic so its not all loose once it's tied. 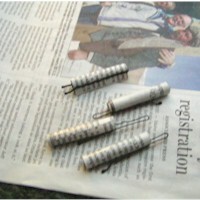 Tie a knot at the end and dab a little clear nail polish/glue to keep it from coming undone. Yaeh. You Have A New Bracelet.